playful it shall be. so no wait for the weekend to begin. 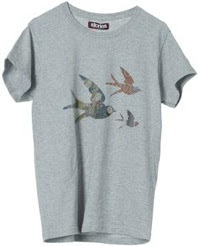 for the super-duper cozy city cruise today's cravings include: rikke mai grey birdy print cotton tee. sabrina dehoff gold bunny necklace. raasta silver cotton shorts. 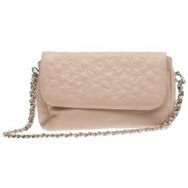 rika powder starbag with chained shoulder strap. gaspard yurkievich gold'n beige flats. linda farrow for luella pink-black'n white sunglasses. Nice blog by the way. I love Linda Farrow sunglasses!